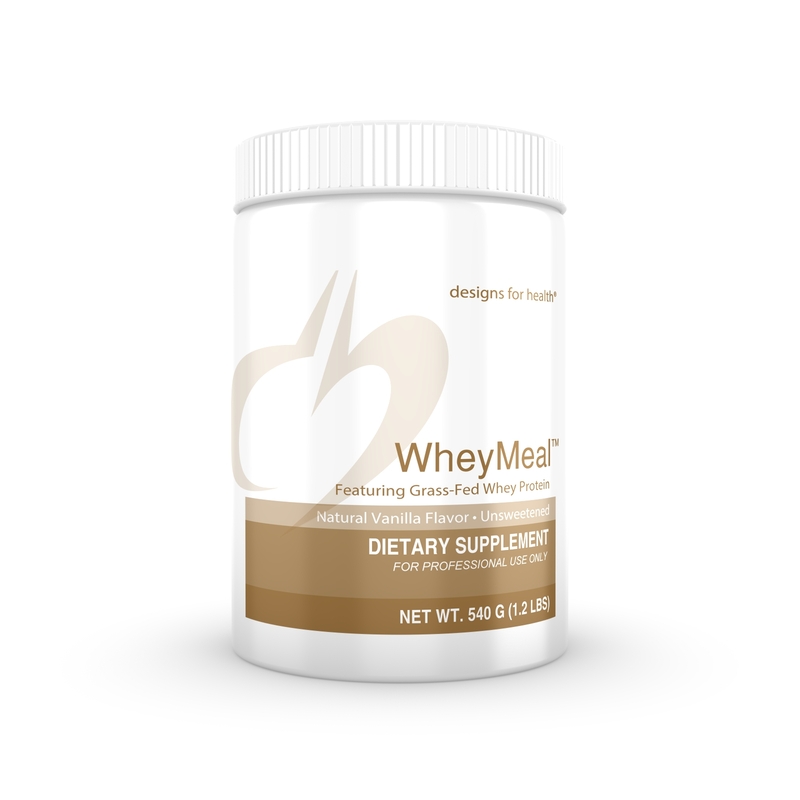 WheyMeal is a great-tasting, nutrient-rich powdered meal supplement designed to help promote an optimal intake of protein, fats, carbohydrates, vitamins and minerals needed for overall wellness. The ingredients make this formula ideal for patients needing support with weight control, GI health, detoxification, immune issues, heavy metals, and muscle gain. WheyMeal is made with Proserum®, exceptional quality, native whey protein concentrate. This whey is produced using minimal processing, and maintains the full range of all the fragile immune-boosting and regenerative components naturally present in fresh raw milk. It comes from cows that graze on pesticide-free, chemical-free natural grass pastures, and which are never given hormones, genetically modified organisms, or injected pathogens. The result is the highest quality protein supplement, rich in immunoglobulins and lactoferrin, and free of artificial flavors and sweeteners.